Ever wonder how Santa Claus navigates his way around the world every year to deliver all those presents? 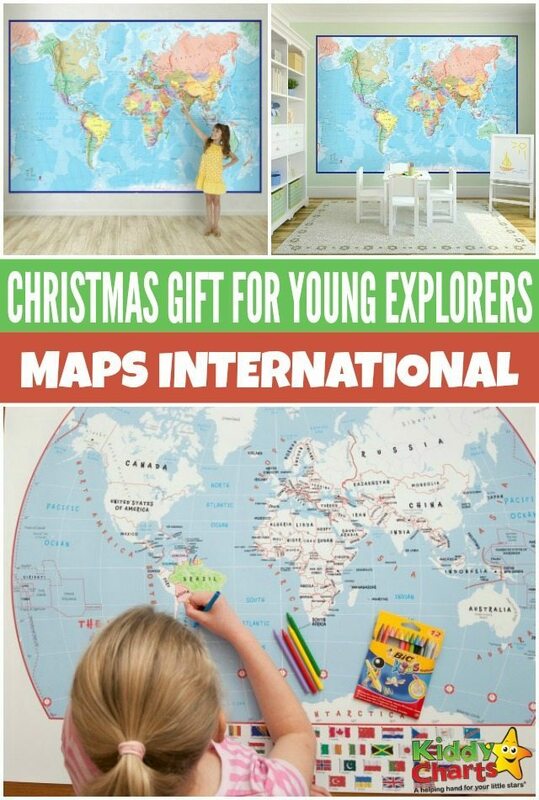 Well, he has help, and this year Maps International is guiding his way with colourful and interactive map gifts that young adventurers will love. 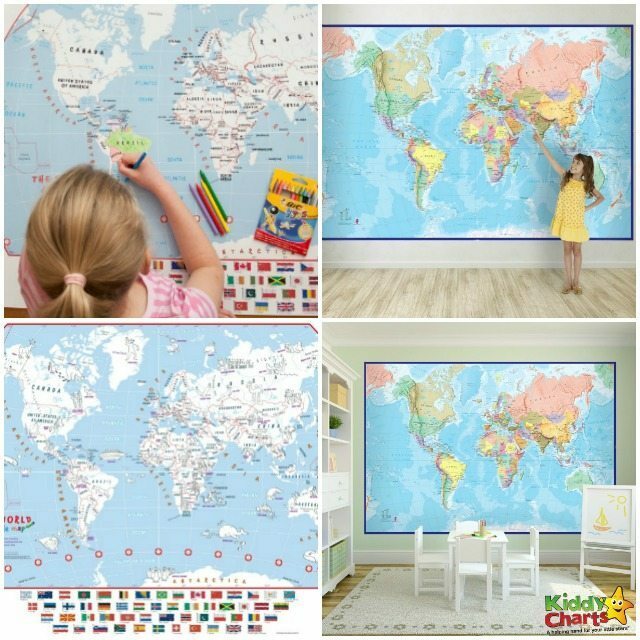 To celebrate the launch of their Christmas 2016 Look Book, Maps International is offering readers of KiddyCharts the chance to win one of their best-selling Giant World Map Murals worth £70, as well as 4 Kids Doodle World Maps. That’s 5 prizes in total! Maps International is one of the oldest and largest online retailers of maps and map products in the UK, and their huge range of children’s map products, activities and crafts, are a fun and educational way for kids to learn more about the world they live in and to inspire a lifelong fascination with travel. 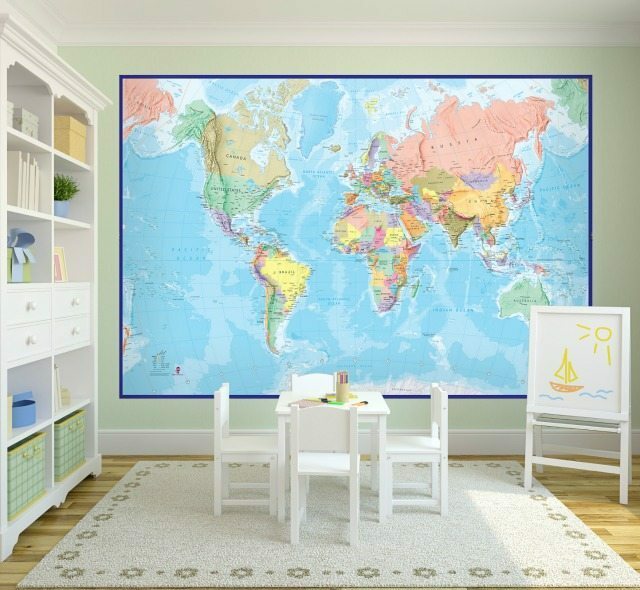 The Blue Ocean World Map Mural recently featured in the MasterCard ‘Your World’ TV ad, and is an eye-catching feature for playrooms, bedrooms, and family rooms. 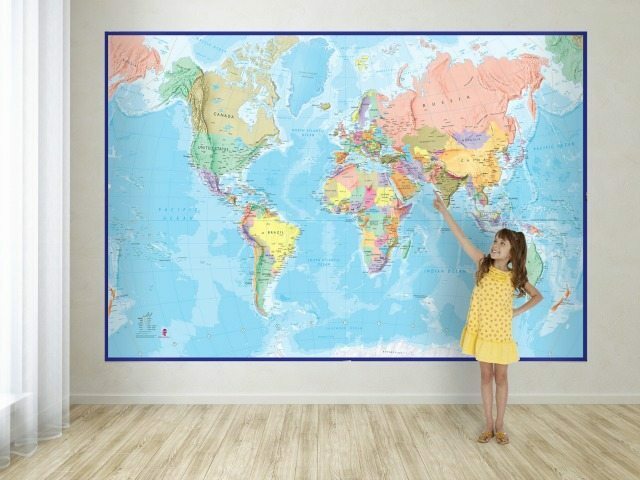 It comes printed on strips of wallpaper for easy application and fitting and allows little ones to navigate their own way around the globe and plan their future adventures. Also on offer are 4 runner-up prizes of the Kids Doodle World Map (RRP £25), which is a great way for young creative types to make their mark on the world early. Maps International have Christmas gift ideas for children of all ages, including cartoon and glow in the dark maps, map trivia, and origami and paper craft kits, as well as gifts for the older travellers in the family. To enter this competition, simply fill out the widget below. There are multiple ways to enter for more chances of winning! This competition closes on Wednesday 30th Nov at 11.59pm and the usual T&Cs for all KiddyCharts comps apply. Looking for more giveaways? Look no further because we run a few others giveaways on the KiddyCharts at most times, so be sure to sign up to receive our newsletter so you will never miss out on the new ones as we publish them all on our website. Good luck everyone – and don’t forget to sign up for our advent giveaways and newsletter – that is 12 giveaways in 12 days you know. I like Butterflies Map! My nephew like it too. I like the glow in the dark star map, the mythical creatures map and also the Paris Skyline picture. So many wonderful gifts! PERSONALISED WORLD TRAVEL MAP is my favourite but I love all maps. Not sure why but I find them fascinating and beautiful. I quite like the wrapping paper. You’d feel pretty special if someone gave you a gift wrapped in that. I love the A-Z London Pictorial Map- Huge Canvas! I love the Mythical Monsters Map! The watercolour map of London is beautiful! I really like the lovely, Glow in the Dark Star Map. Thanks for the giveaway. I love the travel card wallets! I love the butterfly map. All the maps are stunning though! The world map mural is brilliant! Hard to choose from so many good ones though. I love the antique map! Really like the butterfly map of the world 2 it is so bright and colourful. I love the Scratch the World Print. My little boy would love the Glow in the Dark Stars Map. I really like the world map jigsaw. It would make the perfect Christmas gift for my daughter. I love the Scratch the World Print. It makes me want to go travelling! The scratch maps are great. I know a little girl who is fascinated by maps….. she would love this !! 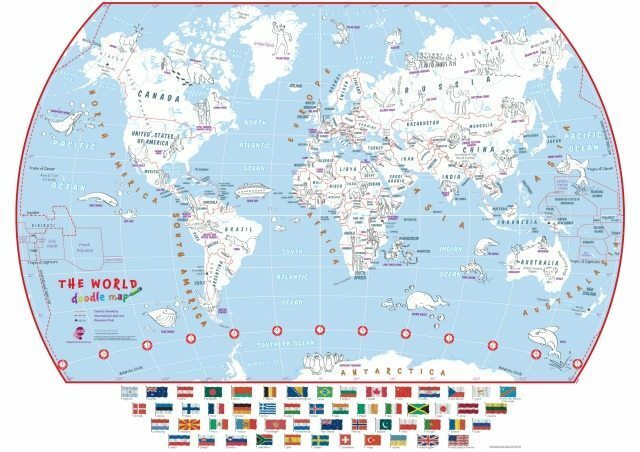 I love the Scratch the World map. Love the scratch maps, what a great way to keep a track of where we’ve been! The antique map, in sepia colours, absolutely lovely. I like Butterflies Map of the World 2, it’s very colourful.